Tomorrow, in the German city of Hannover, President Obama and Chancellor Merkel will again discuss about Greece. Greece and Syria are, for some years now, the two countries on which world interest is focused. If we judge by facts, all this “international interest” had, up to now, rather negative influence on the situation in both countries. By the way, all the main international mass media are clearly hiding the reality of the Greek situation, we suppose in order to protect the engineers of this unprecedented economic and social catastrophe, orchestrated and imposed to this country under the title of “bail-out”, “help” packages, who are nobody else but the European political leaders, the ECB and the IMF, acting obviously, all of them and in spite of their differences, under the guidance of big international Finance. I was reading for example a recent article in the Washington Post. It included the horrible statistics about the fall of Greek GDP – after all, Washington Post and its authors have somehow to protect their credibility. But after paying lip service to the truth, they stopped short of explaining to their readers what means a drop of more than 25% of the GDP, that is what is happening in the country that suffers such a drop. Then the article contained a long description of differences between IMF, Europeans and Greeks. The reader was informed about various technical aspects of the ongoing negotiations. But there is not any explanation in the article what exactly are those “reforms” than Merkel, Hollande, Lew, Biden, Lagarde, Draghi etc. ask the Greeks some years now to implement. What is hidden exactly behind this nice code word “reforms”. 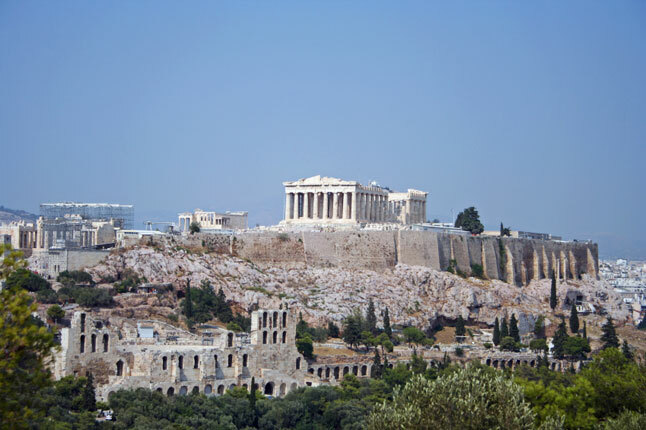 To give only one example, a prestigious educational institution like the University of Athens had a budget of 88 million euros before the crisis. Now it has 11 million euros, as a result of the “reforms” imposed to the country. 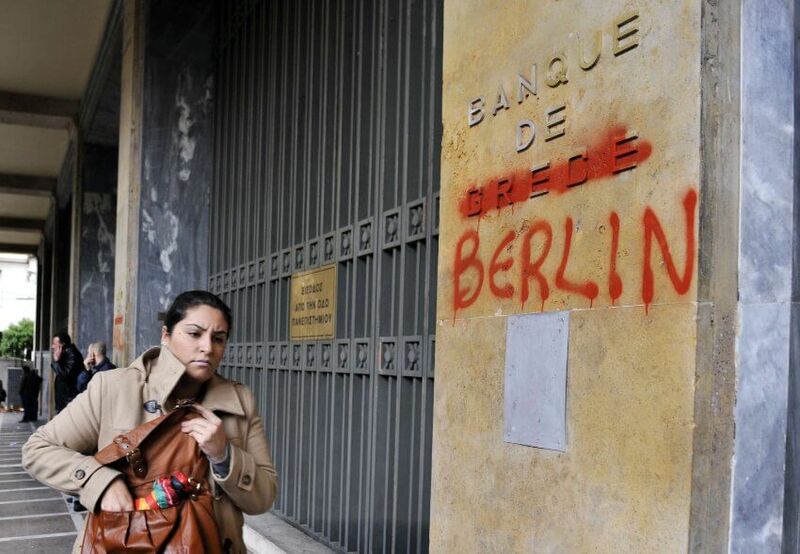 Now the IMF is asking more cuts in Greek state spending. Probably it would be simpler to ask just for the abolition of public education and health care in Greece. It would be also more humanistic to provide for some sort of euthanasia for pensioners, instead of condemning them to a slow and painful death, by cutting gradually their pensions below the absolute necessary for feeding themseves and buying their medicine. They would make also the economy of the interminable and very costly European and international meetings about Greece, the only aim of which is to decide the exact rhythm of death of this nation. By the way, I did not read many articles in those prestigious US and European newspapers, describing what happened after the Tsipras surrender in July, under threat and blackmail. For instance, the creditors asked from the government to introduce two thousand pages of ready-made legislation regulating everything. They were especially interested in abolishing all protection Greek citizens had from any creditors, like the protection of their homes when they are the homes they live in. No foreign journalist has spoken to this lady, about 60 years old, whom I met some days ago while I was entering the Evangelismos metro station, in the center of Athens. She was sitting there, she noticed that I was looking to her and she thought probably that, through my eyes, looking straight to her, she could penetrate my soul. “They have evicted me from my house. It is already six days. What I will do? Where I will stay?” she asked me, but what was really shocking was not what she said, but the absolute terror reflected at her glance. Now, the IMF is pressing hard for the Greek government to apply what has voted last July and sell the loans of people to foreign distress funds, acting in cooperation with local bankers. This is the kind of “reforms” European and US politicians and the EU authorities are asking Greece to implement and they are never satisfied from the way Greeks are applying them! In July they wanted to punish and humiliate the surrendered Greek government, so they obliged it to pass through parliament all those two thousand pages of new legislation in just three days. Nobody could translate that in time, so the Greek authorities had to use automatic translation programs. Now they need to correct it, because those programs make a lot of mistakes! Finally, the government and the deputies, half of them sleeping, had to spend a whole night discussing the law to meet the Creditors deadline! European and US media do not speak about all these. Probably because they are afraid European citizens will understand that what is happening with Greece is not about Greeks and their “debt”. But it is about the future they are preparing there for all Europeans. Who is responsible for this catastrophe? Can they be the respected European governments, or the EU, or the IMF? No, it is impossible. Those are respected gentlemen. So it remains one possible perpetrator of the crime. Greeks themselves. Washington Post reminds to its readers that after all there is a huge problem of corruption and mismanagement in the country. Who now can object to that remark? But why the Washington Post or the European newspapers do not analyze for their readers the extent of the Siemens scandal or what did US defense firms selling arms to Greece? Why they don’t report to their readers the fact that this German firm was massively bribing the two main parties in power in Greece and a lot of state officials? There is ample material about all this. Who are the corrupted Greeks, who is corrupting them and who bears the responsibility of the consequences this corruption had? We hope Washington Post will soon publish a good analytic report on all that. It will not need a lot of investigative work. There are thousands of publications in the Greek press and in the conclusions of the parliamentary committee which investigated this scandal. The bribed politicians were, by the way, the more fanatic in helping imposing to Greece the IMF-Germany “death medicare”. Maybe you will tell me that Greeks after all were responsible for electing those parties to power. Ok, but then why, in 2012, when they seemed to want to try a change, electing SYRIZA, all European governments and EU begun a terror and blackmail campaign to persuade them to vote for the old corrupted parties and politicians? It is true that they did not repeat this campaign in January 2015 (they did it before the July referendum). But this was only because they had in 2015 reasons to believe that SYRIZA would not finally do what it had promised to do. During the military dictatorship of 1967-74, imposed by NATO and the CIA in Greece (President Clinton himself, in a rather rare gesture, has apologized for this in 1999), Greeks were trying to inform themselves through foreign press or the Greek service of Deutsche Welle, BBC etc. Europe was a source of hope for liberation for Greeks during two centuries. Now, it became for them source of fear, disappointment, continuous insults. 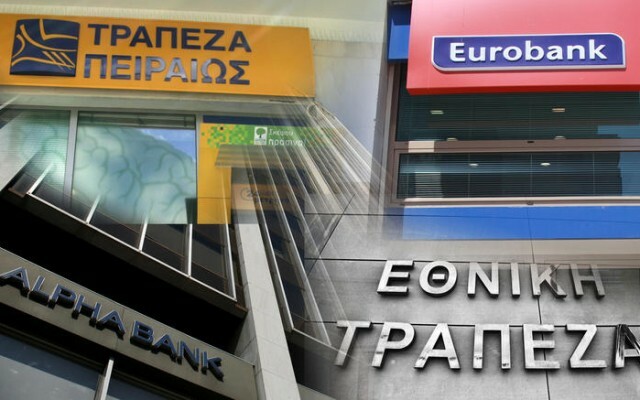 As Varoufakis once said, nowadays coups are done not by tanks, but by banks! Both the Greek and the Syrian catastrophe processes have a fundamental, historical importance, much wider than the importance of Greece or Syria themselves. Because both are used to destroy “Europe”. By this term we mean the overall situation, the “regime” that has prevailed in the western part of the continent since 1945, a regime characterized by a relatively democratic atmosphere and by a generalized welfare state. Such a state has indeed existed in both the “socialist” and “capitalist” parts of the continent after the 2nd World War and it represented a relative, still one of the most important historical achievements of humans and their civilization. Many people criticize this regime as pseudo-democratic and oligarchic or for many other of its aspects. They are probably right, but that does not mean that this regime cannot be replaced by a much worse one. The Soviet Union for instance was an absolutely unacceptable structure. But the replacement of a supposedly “proletarian” dictatorship by a regime of bureaucratic-oligarchic, “cleptocratic” and sometimes clearly Mafiosi “democracy”, in 1991, (also under the supervision of the IMF) hardly can be considered as any progress. Neither the disappearance of USSR as a counterbalance to the US monopoly of world power. By the way, the destruction of the post-War Europe, as we defined it above, is the necessary precondition for launching the new “wars of civilizations”, including the generalized war with Islam, with Russia, tomorrow with China. And vice-versa. President Obama seems to understand what is going on in the Middle East. He was able somehow to contain the neoliberal folly unfolding there. He had even the courage to make a tactical alliance with Putin to achieve the goal of stabilizing the situation and stop the war plans against Iran, which could potentially trigger the first nuclear conflict after 1945. But in the Middle East, Obama could mobilize a quite logical argument. After all many people, even inside the US military, the secret services and the establishment, were understanding that the wars in the Middle East after 2001 hardly are in the national interest of the United States. With economic policy and “debt wars” things are more difficult, as the invested interests are enormous, there are huge bureaucracies, including EU and ECB, working as “disaster capitalism” agents, under the principles of Washington consensus and the neoliberal ideology. You have to be a person with the historical understanding of Helmut Schmitt or the poetic genius of Gunder Grass to understand where all this will lead. 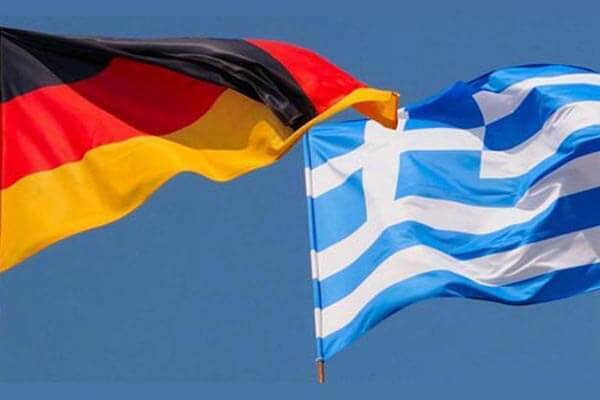 You have to study Faust, if you want to understand the mechanism by which Berlin leaders, in alliance with the international Finance, are acting to destroy Greece, Europe and, finally, Germany itself. (1) Τhe vice-president of the Greek government Yannis Dragasakis has thanked publicly the US administration for its help to achieve the capitulation agreement of July 2015, which assured the continuation of the destruction of Greece. 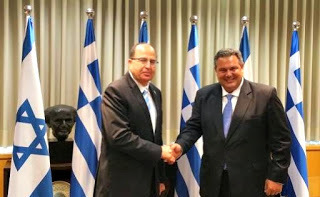 And only some days ago, the Greek Defense Minister Panos Kammenos, of the right “sovereigntist” party “Independent Greeks” has repeated that without the help of the US administration, the July agreement would be impossible. He was trying to explain why Greece and USA remain strong allies.